Modern mixes crave a distinctive tight bass spectrum. 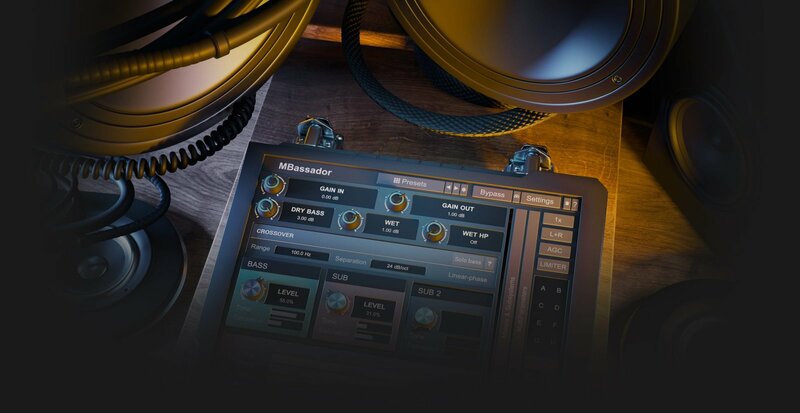 MBassador enhances your existing bass content and produces subbass spectrum as well. Pristine musical results within a few clicks. Not many people have the access to the studio equipment we use when mixing. That's especially true when it comes to reproducing bass and subbass spectrum. 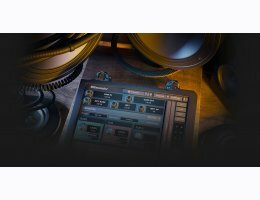 The first module in MBassador lets you post-process the bass content so that it is stable and tight and contains higher harmonics, so that it is audible even when played on a cheap pair of headphones that so many listeners use these days. There's nothing worse than playing your mix on a huge stage with subwoofers just to find out that it's just not powerful and deep at all - because there's no sub-bass content. The problem is, it's almost impossible to actually record sub-bass, because not only it rarely exists in nature, most microphones are just unable to record it. But MBassador can generate it from your existing bass, in a tight precise and musical way.